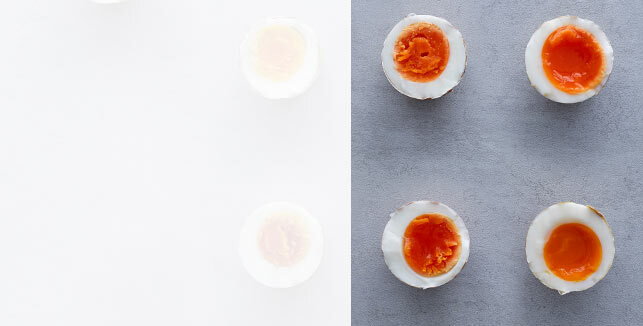 What's special about Waitrose eggs? 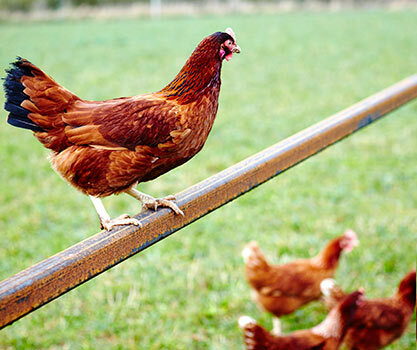 *In line with other responsible retailers, when our free-range hens come to the end of their lives, their meat goes into the food supply chain, as has been the case for many years. Under our strict animal health policy, our farmers do not offer birds for re-homing as it is vital that the industry as a whole maintains the traceability of flocks at all times. 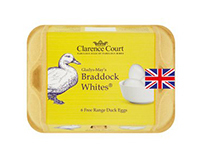 Exclusive to Waitrose, British Blacktail hens are robust and hardy, and are renowned for laying delicious, fresh and superior tasting eggs with golden yolks. Free to roam from dawn to dusk, they have access to food, drink and shelter whenever they want. At night, they’re housed safely in purpose-built henhouses, often powered by wind and solar energy. Their eggs are laid in quiet, comfortable nestboxes, and every egg is hand collected and inspected by our farmers. 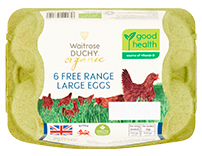 Our Duchy organic eggs are also laid by the Waitrose exclusive British Blacktail hens, but are raised under Soil Association organic standards. Attention to detail is essential. Our hens enjoy organic food from birth and our farmers produce these exquisite eggs with remarkable care and attention. What's more, the Duchy egg box packaging is now made entirely from sustainable, recycled materials – making the boxes themselves fully recyclable too. The boxes are made from a mix of 50% ryegrass and 50% recycled paper using a production method that requires 60% less water and releases 10% less CO2 than producing a standard pulp egg box. The new paper labels, made from recycled materials, save 30 tonnes of paper per year. 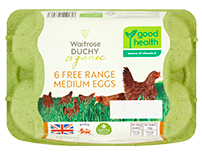 These new labels will gradually be used on all other egg boxes at Waitrose & Partners. 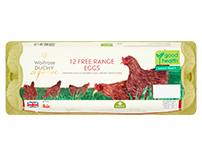 All essential Waitrose eggs are 100% British and free range, laid by hens that enjoy a cereal based diet and have plenty of space to roam and forage on open pastures. Eggs are hand collected daily by carefully selected British farmers, who work with us to deliver the highest animal welfare standards, protect the environment and promote sustainable farming. 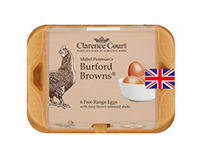 Clarence Court free range eggs are known for their excellent flavour and quality, as well as the care and attention given by the poulterers to the health and welfare of their hens. The birds enjoy the privacy of warm secluded nest boxes, dust baths, trees and shrubs for cover and eat a cereal based diet with a generous helping of sun drenched maize, ensuring they lead the most natural and happy life. 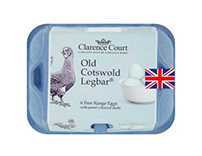 With an extensive egg range to explore and plenty of recipes, visitwww.clarencecourt.co.uk to find out more. What does the lion symbol on eggs mean? 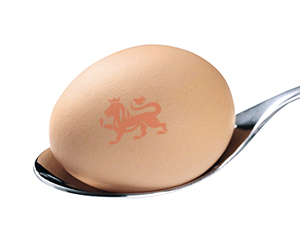 The Lion mark is a guarantee that the eggs are laid by British hens vaccinated against salmonella. 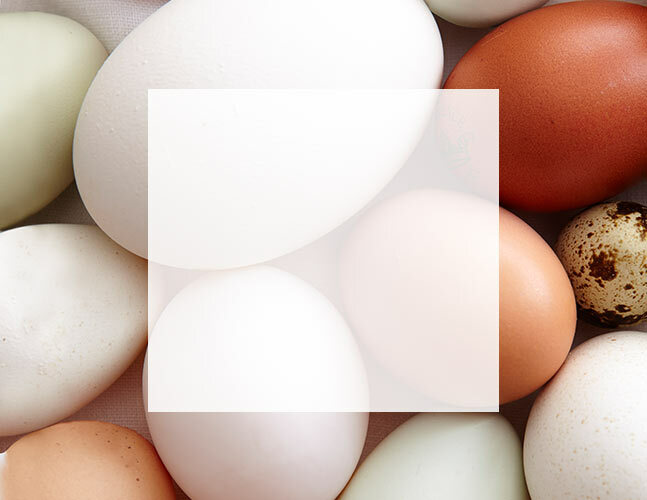 You’ll find it on all our eggs, and the boxes. Our Green nest packs are used with a mixture of grass fibres and recycled paper, which saves 60% of the water needed in standard egg pack production. Greenhouse gases are reduced by 10% and the pack is still 100% recyclable.